This superior luxurious home 4 bedroom and 3 bathroom Disney vacation pool home, boasts 2 master suites, the third bathroom serves the other two bedrooms. Enjoy the fantastic Florida lifestyle with our open plan design which offers spacious living areas. Beautifully furnished and great décor provides the perfect setting for your dream Disney vacation in Orlando. High speed wireless internet is installed for your convenience and there are TV’s in every bedroom! A fully equipped kitchen gives you the option to eat in or dine out! A large sparkling pool that overlooks the conservation area and there is a great games room for your enjoyment. Mountain bikes are available if you must burn away the calories! In one of the quietest and most prestigious gated communities in Orlando, Cumbrian Lakes is ideally located for the perfect vacation in Florida! Where economy meets style, you too can enjoy the natural splendor of Florida! Escape winter and enjoy the all year round good weather. Your family deserve the best. 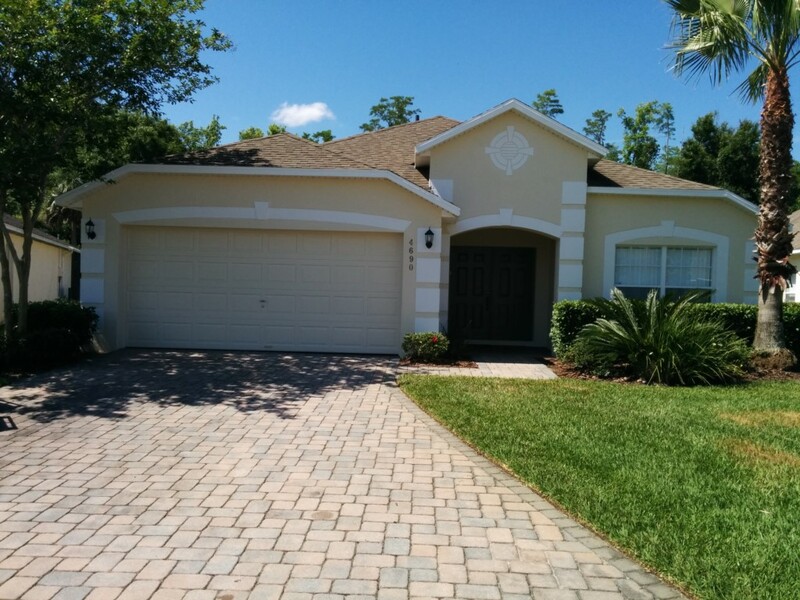 An idyllic home located close to Disney and all of Central Florida’s attractions! Florida offers endless fun filled activities for kids of all ages. If you love the outdoors and mild winters, it’s paradise. Discover the best in theme parks, beaches, restaurants, shopping, art and lots more.. It’s the entertainment capital of the world! Relax in our own private poolside on the large lanai, and sip your early morning coffee as you enjoy the beautiful view of the unspoilt Conservation area, a natural habitat for birds and other wildlife! There are many golf courses in the local vicinity and in a few minutes you can access championship golf courses. There is a King, Queen and 2 Twin bedrooms. The home has a monitored alarm service. For the kids the games room has a pool table, air hockey and foosball. There are mountain bikes if you feel energetic enough! Long distance calling is free. Cumbrian Lakes offers a great location for your unforgettable Disney vacation. Our vacation home's location provides easy access to the Disney Theme and all other attractions, ensuring the ideal family vacation. Relaxation and fun is closer than you think.